Anyone watch any of his content? What's wrong with HFCS please tell us? Obesity is a major epidemic, but its causes are still unclear. In this article, we investigate the relation between the intake of high-fructose corn syrup (HFCS) and the development of obesity. We analyzed food consumption patterns by using US Department of Agriculture food consumption tables from 1967 to 2000. The consumption of HFCS increased > 1000% between 1970 and 1990, far exceeding the changes in intake of any other food or food group. HFCS now represents > 40% of caloric sweeteners added to foods and beverages and is the sole caloric sweetener in soft drinks in the United States. Our most conservative estimate of the consumption of HFCS indicates a daily average of 132 kcal for all Americans aged ≥ 2 y, and the top 20% of consumers of caloric sweeteners ingest 316 kcal from HFCS/d. 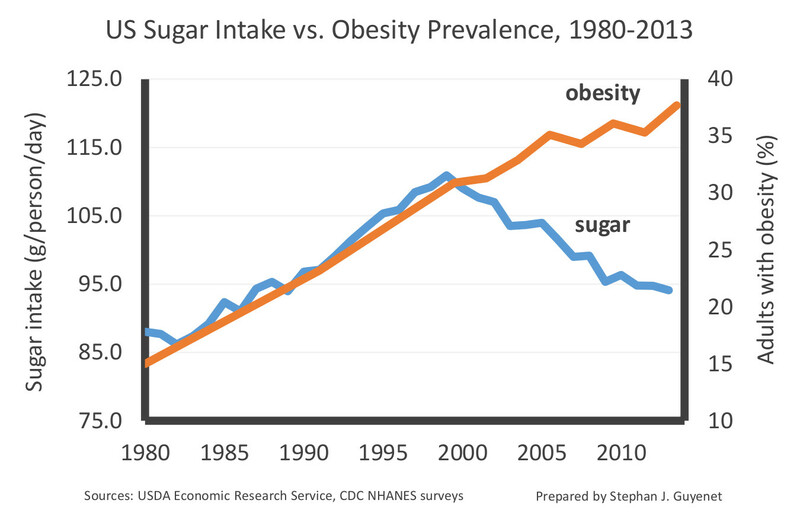 The increased use of HFCS in the United States mirrors the rapid increase in obesity. The digestion, absorption, and metabolism of fructose differ from those of glucose. Hepatic metabolism of fructose favors de novo lipogenesis. In addition, unlike glucose, fructose does not stimulate insulin secretion or enhance leptin production. Because insulin and leptin act as key afferent signals in the regulation of food intake and body weight, this suggests that dietary fructose may contribute to increased energy intake and weight gain. Furthermore, calorically sweetened beverages may enhance caloric overconsumption. Thus, the increase in consumption of HFCS has a temporal relation to the epidemic of obesity, and the overconsumption of HFCS in calorically sweetened beverages may play a role in the epidemic of obesity. [url]Thus, the increase in consumption of HFCS has a temporal relation to the epidemic of obesity, and the overconsumption of HFCS in calorically sweetened beverages may play a role in the epidemic of obesity. I think we found the issue and it’s not HFCS on its own. Indeed. The keyword is "overconsumption". You always post stupidest stuff on forums. Seriously, how many people do you know who drink tons of regular soda but who don't hvae an appalling diet and lifestyle? Exactly. Blaming HFCS is reductive nonsense.